Channel your inner Katniss and come shoot some bullseyes. New this year is the addition of Archery Tag. 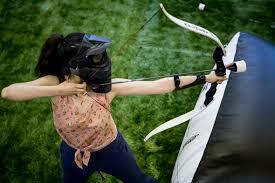 Campers will have the option to play Archery Tag, a dodgeball style action packed game with foam arrows.